In part 1 we dealt with ingesting data from a CSV file, and in part 2 we ingested from a JSON file. In this part we’re going to talk about ingesting data from an XML file. Embeds validation rules through DTD (Document Type Definition) and XSD (XML Schema Definition). XML is a W3 standard. You can read more about XML at: https://www.w3.org/XML/. Unfortunately, XML is verbose and it’s harder to read than JSON. Nevertheless, XML is still widely used and Apache Spark ingests it nicely. Figure 1 shows a fragment of the XML file and illustrates the process. 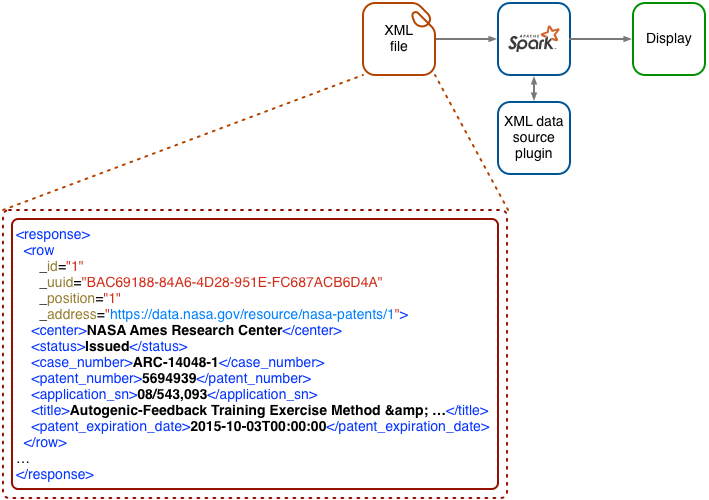 Figure 1 Spark ingests an XML file containing NASA patents. Spark uses an external plugin, provided by Databricks, to perform the ingestion. Spark then displays records and the dataframe schema (not to be confused with an XML Schema). For this XML example, you’re going to ingest the NASA patents. NASA offers various open datasets at https://data.nasa.gov. Listing 1 shows a record of this file. You can download the NASA patents dataset from: https://data.nasa.gov/Raw-Data/NASA-Patents/gquh-watm. For this example, I used Spark v2.2.0 on MacOS X v 10.12.6 with Java 8 as well as Databricks’ XML parser v0.4.1. The dataset was downloaded in January 2018. ❷ The element (or tag) designing our record. Listing 2 shows the output of a dataframes’ data and schema after ingesting the NASA patents as an XML document. You can see that the attributes are prefixed by an underscore (_) (attributes had already an underscore as a prefix in the original document, and they have two now) and the element’s name is used as a column name. 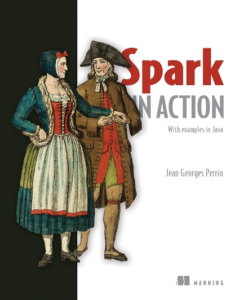 As usual, our code starts by a main() method, which is calling a start() method which creates a Spark session. Listing 3 is the Java code needed to ingest the NASA XML file, then display five records and its schema. ❶ Specify XML as the format. Case doesn’t matter. ❷ The element or tag that indicates a record in the XML file. If the first child of response was rows or anything other than row, I wouldn’t have had to remove it (another option is to rename it). As the parser isn’t part of the standard Spark distribution, you need to add it to the pom.xml, as described in listing 4. To ingest XML, use a product called spark-xml_2.11 (the artifact), by a company called Databricks, in version 0.4.1. More details on Spark XML can be found at https://github.com/databricks/spark-xml. Not too complex! Stay tuned for part 4. If you want to learn more about the book, check it out liveBook here and see this slide deck.